Aadhi Raat is a 1999 Indian Bollywood action film released on 1999. The film is directed by Hriday Shankar, produced by Dr. Rajni Sarin under banner named Pawan Putra Films. Aadhi Raat film starts from Police Encounter where Jamil takes his last breath. Police burried Jamil corps in a Jungle. But corps were no more in the jungle. . Further same night a Girl named Lolo was raped. Police comes Lolo told about Jamil and insignia of his name which was graved on his hand. Police were surprised to know this. . A woman was raped by an Aghori Tantrik in the jangle who had come there to get blessing for his child because of she had no issue. . That woman told the entire story to Police. Police went to caught Aghori Tantrik in his custody. but fail by his Tantra & Mantra Police can not enter in Aghoris Hut.1) How Jamils corpes were missed? 2) Was Lolo raped by Jamil? 3) What was the result of that orthodox woman and Aghori Tantrik? 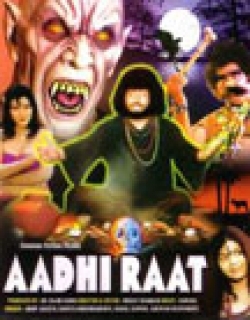 4) Wacth film Aadhi Raat for misterious happennings and for Special Effects. Check out this page for more updates on Aadhi Raat. This page provides latest and updated information about Aadhi Raat (1999) movie which released on 1999. Aadhi Raat (1999) is directed by , produced by , starring .We have also provided 0 trailers and videos, 3 photos, 11 user reviews, and 0 critic reviews.Aadhi Raat (1999) has received 2 rating from user reviews.The overall rating of Aadhi Raat (1999) is 40 and movie is 2.You can review, like, dislike this movie and also can add to favorites. You can also find information on showtimes, CDs, DVDs, online rental, online free watching.